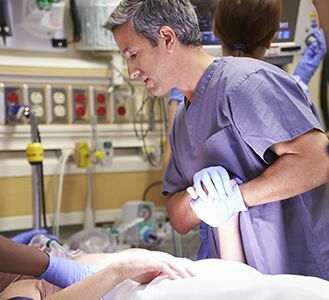 In the Intensive Care Unit, bronchoscopy plays a vital role in treating patients undergoing mechanical ventilation or requiring airway management and diagnostics. From the management of hemoptysis to assisting in difficult intubation, bronchoscopes have increasingly become a valuable instrument for patient management in Critical Care. Cogentix Medical has revolutionized bronchoscopy efficiency with the introduction of the EndoSheath® protective barrier, a sterile, single-use product with an integrated working channel, for use with the company’s state-of-the-art bronchoscopes, high-performance imaging and peripherals. 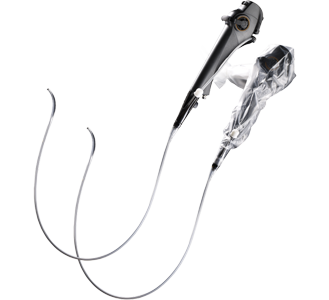 The PrimeSightTM bronchoscopy system combines state-of-the-art scope technology with the EndoSheath protective barrier for effective and efficient diagnosis and treatment of conditions affecting the airway. The PrimeSight bronchoscopy line includes both the video-based BRS-5100 and the fiberoptic BRS-4000. Using a PrimeSight bronchoscope with the sterile, single-use EndoSheath product, allows you to take bronchoscopy efficiency to the next level with less instrument preparation and disinfection downtime. All patient materials and instrumentation -- from biopsy tissue samples to BAL fluid removal -- travel through the working channel in the disposable sheath and never come in contact with the reusable bronchoscope. The EndoSheath product is available in multiple working channel sizes, allowing you to adapt the bronchoscope to fit the procedure. Additionally, the compact size of the PrimeSight digital processing unit makes it ultra-portable and optimal for bedside procedures or moving through tight quarters such as the busy ICU.